Anna Maria is an incredibly beautiful artist's edition doll, created by German doll artist Brigitte Paetsch for Schildkrot Puppen. She has brown glass eyes mouth-blown in Lauscha, Germany. Her red hair is a hand knotted human hair wig and plaited into two pigtails. Anna Maria is a sitting doll which means that doesn't stand. Her head is fitted into a chest plate and it can be moved around into different positions. The armature in her upper body enables mobility to her arms so that they can be moved into different positions. Anna Maria is limited to 777 pieces and she comes with a certificate. 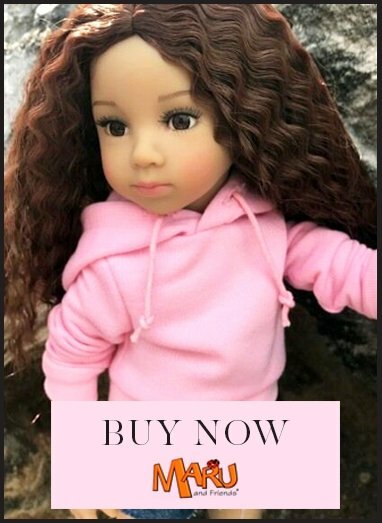 Warning: This is a doll collector's item.